Program Dates Finalized: Jun 15-Jul 19, 2017. Please see below for link to detailed day-by-day calendar of the 2017 Scholar Program and activities. All other ver9 docs include these date changes. Also we are getting into the deep details now of exactly what it's going to take to run this with a large commitee of volunteers. Using surveys of how much time it took our volunteers to help out this past year and some detailed planning on the tasking design of the timeline we have come up with some very rough provisional assignments, leaders, co-leaders, backups, support volunteers, for all of our tasks, in the "Detailed Tasking "roposal" below. It is currently in review by all of our committee members to see where they can fit in or where they might be overextended and need to decline. We also have a tiny budget of $7k to do what used be done in 1,640 hours of a full time person so also included is a discussion of how best to allocate this budget to support things like expense reimbursement. •It is important to note that Indonesia is one of the EFN countries, where WWF will be fully sponsoring some of the SCGIS scholars, so this means that Jessica stands a chance of having all her costs covered by WWF, but it does mean some earlier deadlines for her and you. •In order for SCGIS to review EFN applications and make a recommendation to WWF, we (the SCGIS International Committee) need to receive (1) her completed application by the 10 January for internal assessment before making a recommendation to WWF. But we also require (2) that Mentors/or Chapters assess and score each application submitted to us. You would know the applicant and their role in conservation better than any of us so we will pay careful attention to any comments or notes that you provide in your assessment. •In order to provide us with your assessment by the 10 January, you will need to ask Jessica to complete the application form by early January (for example) so as to provide you with sufficient time to review her application form. I hope I am making sense? Please dont hesitate to ask for better clarity. •It is very exciting and wonderful that EFN countries can apply to this earlier funding cycle but do note that if Jessica or you miss this deadline, then Jessica's application can still be submitted and assessed together with the rest of the scholars from non-EFN countries later in February (to be submitted to SCGIS 1 March). So please do submit even if running a late for whatever reason. •Lastly, you asked about the role of Mentor. In my opinion, Mentors were first introduced to try and allow for SCGIS to penetrate into areas that were not covered by existing Chapters. 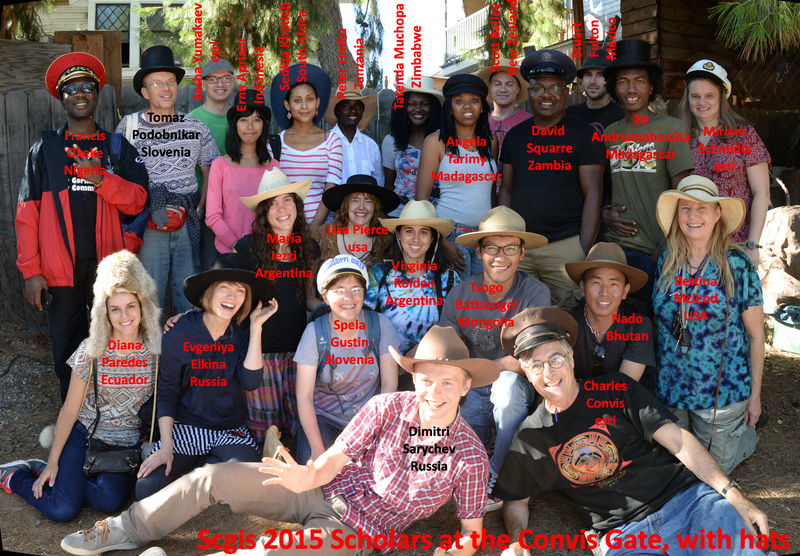 So any past SCGIS scholar could become a Mentor to someone who could benefit from the SCGIS Scholarship program, regardless of country or region. But I also understand it to include GIS professionals from within regions covered my Chapters, but where these professionals can advise, train, and capacitate new GIS users about the use of GIS in conservation. They can play more of a "tutor" role than a Chapter can given the capacity limits of Chapter that could not do so for all applicants received. This mentorship role can be more than merely assisting with scholarship application process, but also include training and advice. •You dont formally "register" with SCGIS to be a mentor but you do need to indicate to us in writing (email as you have done) that you intend being a mentor and what countries could you cover or be a mentor to? You have currently indicated Indonesia and your willingness to assist (which is great and much needed!) . Are there any other countries you could potentially cover? •The core responsibility of being a mentor is to (1) reach out to possible deserving applicants within your region (supplying them with the attached form) and (2) to ensure that you assess their application forms and provide your assessment and their original application to the SCGIS International Committee for final review. Deadlines: are set independently by each chapter/mentor/reviewer but generally speaking applicant deadlines will be between Dec15 and Dec 30, 2016 for the EFN "early decision" funding, and between Jan 1 and Jan 30, 2017 for the standard funding. REVEIWER deadlines for submitting reviewed/ranked applications to SCGIS International are Jan 10 for EFN, and Feb 24th for Standard..
Can I have applicants apply to BOTH the new EFN program funding and the traditional program? ABSOLUTELY! we are concerned that this might also mean you have to do two rounds of review and are working on solutions. For now we will be sending out the application form and review guidelines in a couple of days so that if you elect to do a SINGLE review round for BOTH programs in time for the EFN dealine in January, you will still have 2 months to do it. Otherwise, for those doing 2 seperate rounds of review, you won't have to make a master scoring across both reviews, you'll only have to rank your candidates WITHIN each round and just keep the 2 rounds seperate. You are, however, permitted to include as many candidates in your first review round as you want even if they are not EFN elegible, as long as they send in their materials by the early deadline. EFN is just a funding source with an early deadline, it has nothing else to do with the SCGIS program review you will be carrying out! We understand that even if someone is not eligible for EFN there may be other advantages to an early review such as getting an early decision like some universities do, and we are working on ways to do that. Nov 10: New Application form and review guidelines sent out, begin work on chapter & scholar questions/issues about the new program Begin work on global chapter/mentor email list. Nov 22: New Int'l program webpage, Begin work on Int'l Chapters landing page, dedicated pages for each chapter with prior scholars listed, and new EFN program page. Dec 16: Work on finalizing program locations and duration to fit available funding and volunteer coordinators. Dec 21: Final dates & locations announced, Post Final Application Version 9 with correct dates and formal advanced track removed, more EFN country contacts added. Feb 24: Main SCGIS cycle deadline, 62 applications are recieved, not counting the additional applicants from the EFN cycle who will be added into the main round. Work begins to simplify the 2018 program back to a single round with a single Jan 10 deadline for both EFN and SCGIS. Mar 3: Main SCGIS senior review and SCGIS Train-the-Trainer Candidate selection set to begin. Mar 20th: Anticipated date for final selection notifications to begin to go out. (old version SCGIS 2017 Scholars Program planning v6) . 2. Answer questions about the program and SCGIS from prospective applicants. When asked, provide advice and mentorship to help applicants who may be struggling with language or other issues. 3. Select from the pool of applications submitted to you, those you believe merit formal consideration for a scholarship. You may select by any means your group wishes to adopt, consensusand discussion, or scoringand ranking. Provide a narrative evaluation of eachfinalist selected per the reviewer's guidelines. You may also provide the ranks and scores, but it’s your narrative evaluation with your chapter’s personal knowledge of the applicant, their local work, their local community activities, and their reputation that carries the most weight in the global review. 3. Submit your selected finalists to SCGIS International per the guidelines. 5. 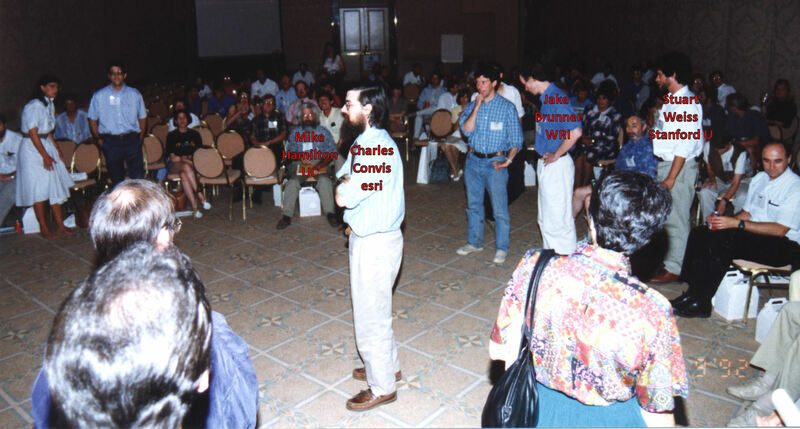 Even if none of your candidates receives a scholarship, any Chapter members can still attend the SCGIS annual meeting on their own in an official capacity as chapter representative, and take advantage of the discounted passes.